Hi my beautiful friends !! We all have a friend in home who always helps us in kitchen. I am talking about Microwave. Microwave is used for so many things & during the day so many times too. However there is one thing we often forget about ; cleaning the microwave. Cleaning the microwave is required because different foods puts their smell in microwave & slowly with time the smell gets attached to it & with different foods which we warm. 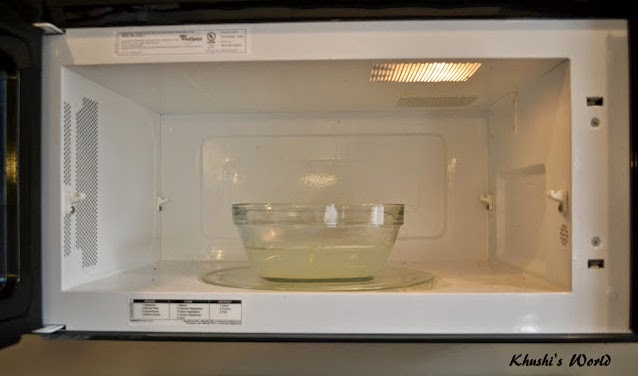 Today I am going to tell you how to clean your microwave in an easy way. It is more of a hack then a tiredsome process. So lets begin. Step 1. Put 2 cups of water in a microwave safe bowl and add half lemon juice in it. Step 2. Now start microwave for 3-4 mins & let the bowl be in microwave for 2-3 more mins. Remove bowl from microwave & use paper towel to clean it. Step 3. It will not only clean ur microwave but also leaves a fresh smell.